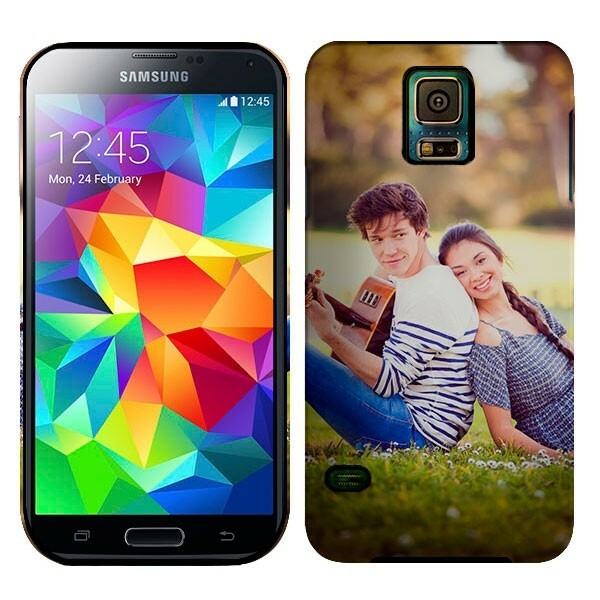 Keep your Samsung Galaxy S5 scratch-free with a personalised cover. Our tough cases are layered with silicone and plastic. A photo chosen and edited by you, for your beautiful accessory! Extreme protection for the phone. Through a combination of silicone and plastic, your phone well protected against blows, bumps and scratches. 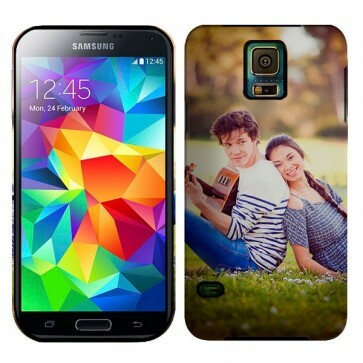 The two separate layers offer extreme protection for your Samsung Galaxy S5. Make your own personalised phone case by using any of your favourite photos, patterns or pre-made designs. Your design will be printed on the entire back of the case. Our tough case is made to last and keep your phone looking newer for longer all in a stylish, slim case. Your personal design on the sides and back of the case. The tough case is indeed designed for protection and durability. It does however maintain a high level of style do its full wrap printing option. Your personal design will be printed on the entire case. That means sides and back. Use and of your favourite photos to make your own case. Take your time and create the perfect design that sits your personality. Dont forget to add a personal text to the design using our text module. You can upload images straight from your Facebook or Instagram account. In addtion you can upload straight from your device. Good luck making the perfect personalised phone case! Your tough case quickly deliverd. Happy and finished with your design? Then send us your order so we can get started making your personalised tough case. Each case is handled with care to ensure the effort you put into the design is reflected in the effort we put into the end result. If you order your case before 17:00, your case will be on its way to your within 24 hours. Delivery time is between 5-7 days. If you are unhappy with the final result once you have recieved your case, get in touch with us straight away so we can offer a fitting solution. Get started on your perfect personalised tough case!